I was discussing this story with my editor as I drove in this morning, and it struck us that, as far as Apple is concerned, this is an almost perfect punishment. It allows Apple to give Mark Zuckerberg a serious, embarrassing slap on the wrist – one you sense Tim Cook has been wanting to administer for some time – without upsetting the many millions who use the iPhone to access Facebook’s products. 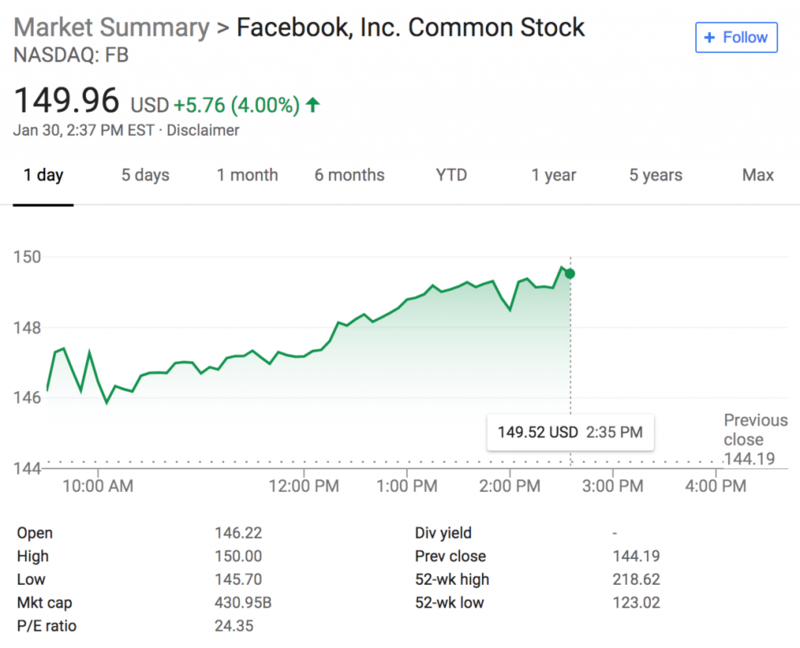 Speaking of many millions, Facebook’s earnings shattered analyst expectations and stock is soaring. Crisis? Hardly. Robots are far superior to humans in many respects, but they struggle greatly with something we all do instinctively: picking things up and putting things down. There are various research projects ongoing that look at the issue of creating robotics that can handle intricate objects on the fly. I looked at one effort from Autodesk last year. We’ve seen Jenga robots before, but nothing this advanced. Identifying target bricks, applying just enough pressure to push it out, knowing when to retreive it from the other side, and then delicately placing it on top – that’s impressive. I just had to share this hilarious, human moment on Tuesday’s BBC News at Six. It came at the end of a piece by Amol Rajan, the BBC’s media editor. Magic. Not often a news bulletin can make you laugh out loud. The story, if you didn’t see it, was Ofcom’s annual report into UK viewing habits, which I mentioned briefly yesterday. Read the full report here. At this Sunday’s Super Bowl, Quinton Peron and Napoleon Jinnies will make history as the first male cheerleaders ever to appear at the event. Jenn Padilla and Emily Leibert, two other cheerleaders, were floored. “There was a bit of shock at first but then you realize it’s nothing new and if the talent was there, which it was, then they deserve to be on this team,” said Leibert. They’ll be supporting the Los Angeles Rams as they face the New England Patriots in what promises to be an AMAZING AFTERNOON OF FOOOTBAAAAA… sorry. I just can’t. Still – good on you, lads. Gender stereotypes can be shattered in more ways that we perhaps think.